Should he be elected president by ANC delegates at the December conference, Mkhize says he would keep the party together and build unity. African National Congress treasurer-general and presidential contender Zweli Mkhize says the governing party has to decide whether Jacob Zuma should see out the remaining two years of his term as the country’s president. In an interview with Bloomberg TV in Johannesburg on Tuesday, Mkhize said the ANC would have to take the decision on what happens to Zuma after the party’s upcoming 54th national conference. 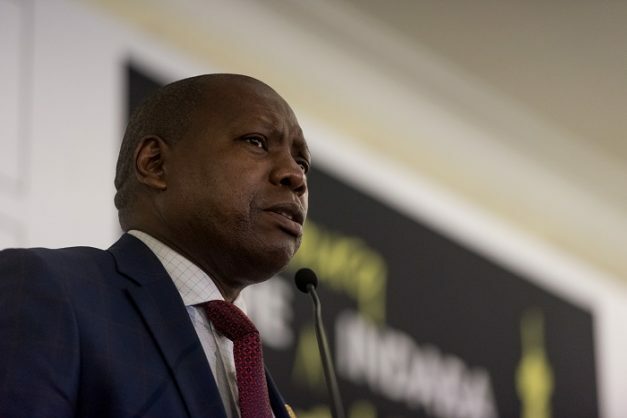 “There’s been discussions in the past, there was no agreement that he should be removed, but of course when the matter arises, it’s up to the ANC to take that decision,” Mkhize said. Mkhize has been touted as a possible “compromise candidate” in the race to replace Zuma as the next leader of the ANC, but he faces a tough battle from presidential frontrunners Deputy President Cyril Ramaphosa and former AU chairperson Nkosazana Dlamini-Zuma, who hit the campaign trail long before the party officially opened its leadership race. However, Mkhize’s campaign is said to be picking up speed. Should he be elected by ANC delegates at the December conference, Mkhize said he would keep the party together and build unity within. “I have the right qualities to make it on the job, so I’ve given the branches of the ANC the opportunity to select the best amongst us,” Mkhize said.